Despite the negative reputation that precedes Nigeria, it appears there are still people out there who are striving to put their names on the map, one invention at a time. Currently trending on social media is the latest invention by a Port Harcourt based engineer. 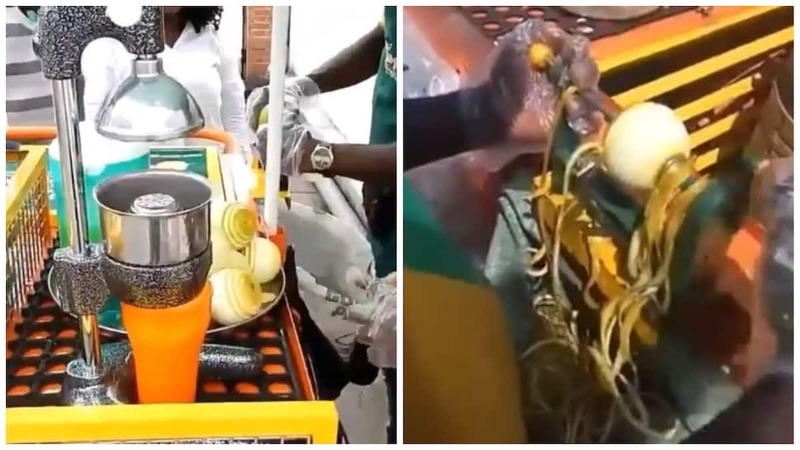 The man identified as Olorunsola Aje, created an orange extracting machine that has left many people on social media rather impressed. In the videos which have surfaced online, the machine which is manually controlled is able to peel the orange fruit with little effort from the handler before having the juice extracted by the same machine. According to this post, the processing machine was created in 2015 but is finally gaining grounds, two years after its creation. With the right amount of funding, Aje can start a large scale manufacturing of orange juice and may even sell to other African countries. With further improvements, Aje may extend its use to other goods/fruits. Still on impressive and useful inventions, Adesola Samuel is another young man making the nation proud.